Who can resist the gorgeous display of food? The story is enhanced with delicious food, intense rivalries, and very tense situations. 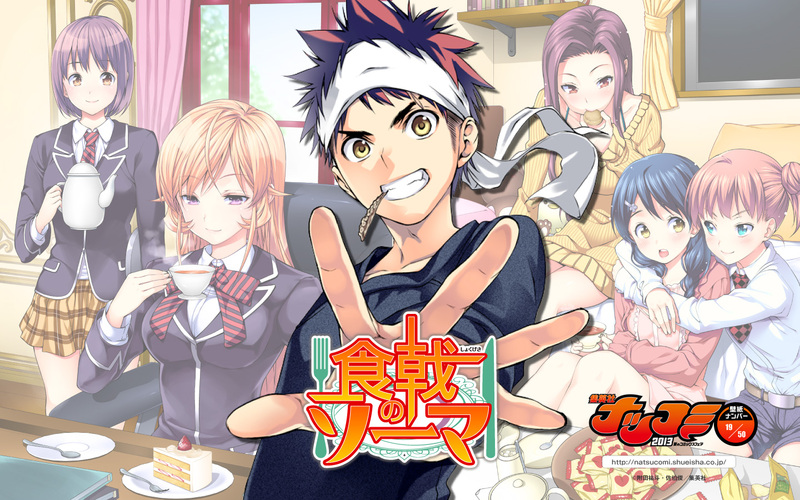 Soma is the protagonist who wants to be a chef who can surpass his father. 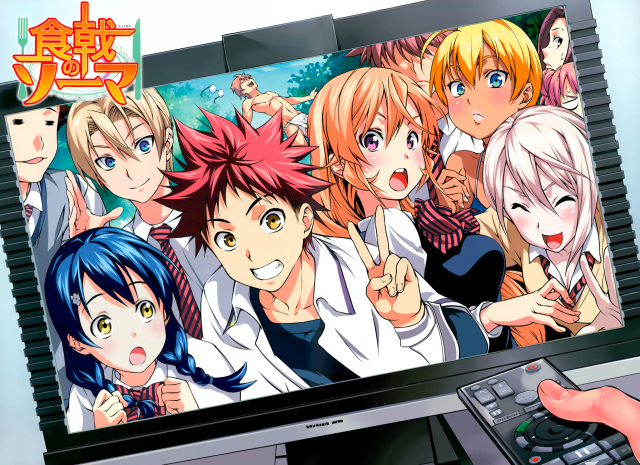 The anime is still running but the story is good so far as it's easy to tell there's a rivalry building up with Soma and Erina, a girl with God Tongue. 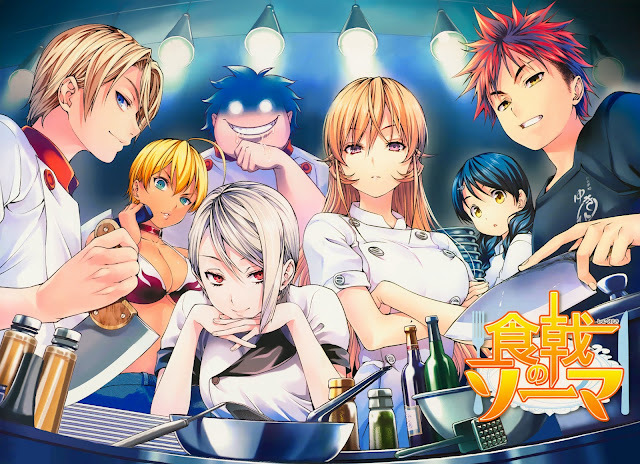 Shokugeki no Soma tells the story of a boy named Sōma Yukihira, whose dream is to become a full time chef in his father's restaurant and surpass his father's culinary skills. But just as Sōma graduates from middle school, his father, Jōichirō Yukihira, closes down the restaurant to cook in America. However, Sōma's fighting spirit is rekindled by a challenge from Jōichirō which is to survive in an elite culinary school where only 10% of the students manage to graduate. The art is beautiful too, a lot of people will agree if I would say that, definitely. I mean, hey it is food! But the good thing is that there is a clear storyline that lays as a backbone and shows the anime isn't all about food and the anime has potential to grow. I hope there will be second round for this gorgeous anime!